The Great Barrier Reef, located off of Australia’s eastern coast, is the largest coral reef ecosystem in the world. The reef covers an area over 300,000 square kilometers and includes a wide range of ocean depth, and it contains such biodiversity as to make it one of the most complex ecosystems on Earth. Much like any other ecosystem on Earth, the Great Barrier Reef relies on biotic and abiotic components to keep it functional and stable. Coral is the basis for the diverse animal and plant life in the Great Barrier Reef. 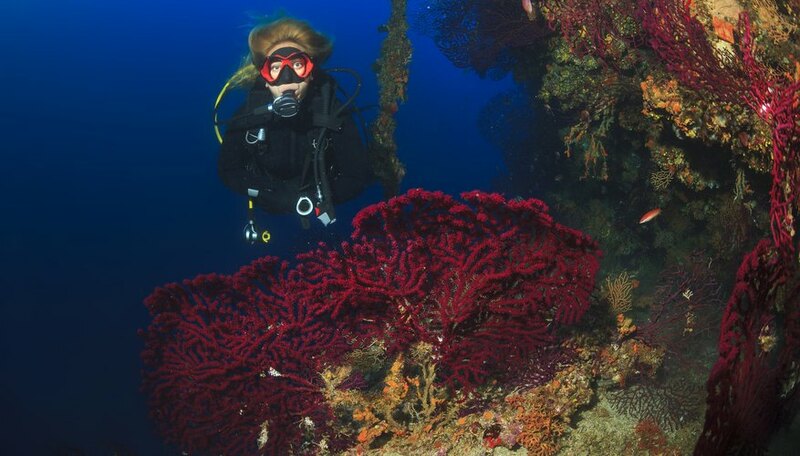 Coral consists of polyps, which are very small creatures that reproduce to form colonies. These colonies of coral make up the reefs in this ecosystem. Polyps live inside shells comprised mostly of calcium carbonate, which is what most people identify as coral, as these shells are what remain behind after the polyps have died and form the structure of the reefs. Coral takes the form of antler, plate, fan or brain shapes, and groups of coral form a forest-like appearance. These biotic components of the Great Barrier Reef create a habitat for other living things. Animals such as sea turtles, crabs, sea urchins and fish act as consumers in the Great Barrier Reef ecosystem. Primary consumers in this ecosystem include zooplankton and herbivorous fish, while other fish that eat coral polyps or barnacles that eat plankton make up a group of secondary consumers. Large reef fish, sharks, eels and barracudas make up the tertiary consumers at the top of the food chain. Marine mammals such as dolphins and seals, as well as sea birds, also act as tertiary consumers. 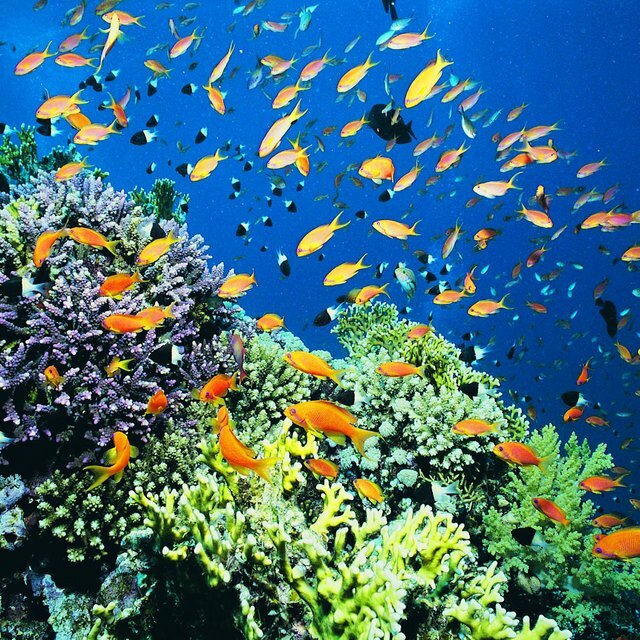 The Great Barrier Reef is home to over 1,500 species of fish, 4,000 species of mollusks and over 200 species of birds. Plants and bacteria are two other major biotic components of the Great Barrier Reef. Bacteria act as decomposers for this ecosystem, and they break down dead organic matter and convert it into energy that can be used by other living things in the ecosystem. Some animals, called detrivores, also consume dead or decaying plant and animal matter. Autotrophs such as phytoplankton, algae and seaweed serve as the major plant life and primary producers in the Great Barrier Reef. These plants convert the sun’s light into energy for food and serve as food for primary consumers. Temperature and sunlight are two abiotic factors found in nearly every ecosystem, but since the Great Barrier Reef is an aquatic ecosystem, it has some additional abiotic components, including buoyancy, viscosity, light penetration, salts, gases and water density. Buoyancy refers to the force that supports the weight of an organism. Viscosity is the resistance to the movement of sea water. These two abiotic factors contribute to the movement of fish and sea mammals. Light penetrates the ocean surface only about 20 meters. There is much more salt in the Great Barrier Reef than in a freshwater ecosystem, and some biotic components that live near estuaries, where fresh water mixes with salt water, have to deal with changing amounts of salt in the water. Water contains less oxygen than the air. Also, the density of water in the Great Barrier Reef changes with depth, which changes the biotic components that can live in a given depth. Batema, Cara. "The Major Biotic & Abiotic Components of the Ecosystem of the Great Barrier Reef." Sciencing, https://sciencing.com/the-major-biotic-abiotic-components-of-the-ecosystem-of-the-great-barrier-reef-12071465.html. 25 June 2018.